Just like the Rotary Foundation of Rotary International, which was created in 1917 for the purpose of "doing good in the world," the Akron Rotary Foundation supports activities for youths and is dedicated to furthering world understanding and peace. The Akron Rotary Foundation Board consists of nine directors who serve a three-year term each. Three of the directors rotate on, and three rotate off the Board at the beginning of each calendar year. The nine directors on the Board elect their own officers for the Foundation, which consist of a President, Secretary, and Treasurer. The Board invests, grows then distributes the moneys to Rotary and community projects. These Directors invest, manage, and grow the Foundation dollars. 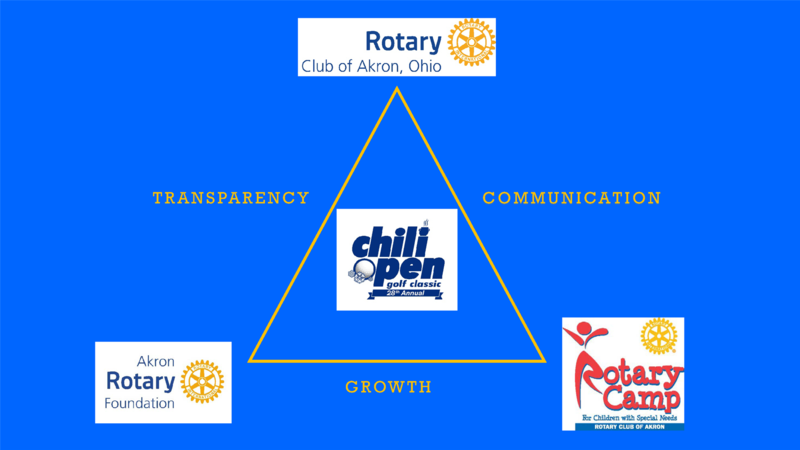 The Vision of the Akron Rotary Foundation is to provide funding for opportunities for youth that are supported by the Rotary Club of Akron with special emphasis on educational and recreational needs of emotionally and physically challenged children. Funding the endless impact of the Rotary Club of Akron in our community and beyond.